Gordon Smith has been associated with the National Concrete Pavement Technology (CP Tech) Center since the late 1990s. A CP Tech Center board member throughout its existence, he played roles in the Center’s founding and in building its long-term partnerships with the Iowa Department of Transportation and industry. He was also involved when the American Concrete Pavement Association and Portland Cement Association allied with the Center as partners in 2005. Joining the CP Tech Center as an associate director seemed like a natural next step for Smith. 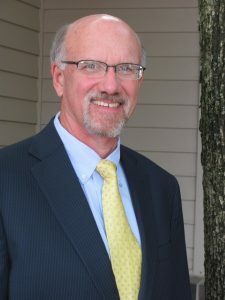 “I am truly looking forward to working with their highly-regarded staff on a more formal basis, offering my knowledge of the industry and our product in the never-ending quest for excellence in the art and science of concrete pavement design, materials, construction, and performance,” said Smith. Smith brings nearly 45 years of experience with concrete pavements and products to the table, including 31 years with the Iowa Concrete Pavement Association (ICPA) as its president and 16 years as executive director of the Iowa Ready Mixed Concrete Association (IRMCA). This experience will help him continue to strengthen relationships between the CP Tech Center and its partners and customers in industry and state and federal agencies across the country. Working alongside Steven Tritsch—the Center’s other associate director—Smith will work on initiatives related to recycling, concrete overlays, pavement preservation, and other emerging technologies. However, a significant portion of his time will be dedicated to the advancement of performance engineered mixtures through a state DOT pooled fund study supported by the Federal Highway Administration. By working with multiple departments of transportation, industry leaders, and universities like Iowa State, Oregon State, and Oklahoma State, Smith will coordinate research and promote technology transfer. “It is no secret that Iowa has a long, established history of using concrete as a primary paving material for the construction of state and county roads, streets, airport runways, and bridges,” said Smith. The advancement of concrete pavement technology and educational outreach to agencies and practitioners has been an integral part of Smith’s entire career with the ICPA and IRMCA and will continue now in his work at the CP Tech Center.